North Korea is in the news almost every day. Relations between the so-called “Hermit Kingdom” and the West are still only shaky at best. Most Americans have heard plenty about the negatives. What they might not know is that for over a decade Westerners in the private sector have been engaging North Korea in unique ways. Engagement has taken many forms, from tourism to humanitarian aid, but one successful method has been sports exchange. Dennis Rodman is well-known for his friendship with North Korean leader Kim Jong Un, among other things. The former NBA star has also been instrumental in promoting exchange with North Korea through basketball. A lesser known but growing exchange, one in which I’ve taken part, has been via the sport of surfing. Engagement through humanitarian aid. 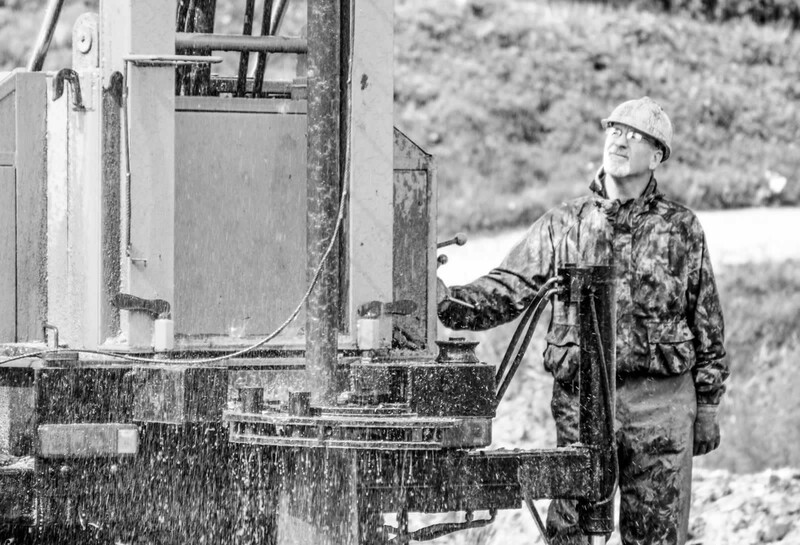 Drilling clean water wells in North Korea. While basketball is a team sport, surfing is individualistic. Even so, it’s also unifying in that people of diverse cultures and locations share the same ocean. Surfers know this well. The woman next to you could be a celebrity or CEO of a major company. The guy paddling out might be working construction or a fast food drive-through. In the water, you’re all just riding waves. I saw this in North Korea, a high level government official from the capital surfing next to a middle-aged mom from a provincial city. The waves didn’t care. The ocean gave them both equal opportunity to ride. Last September’s travel ban put a halt to Americans travelling to North Korea. In the ten years before that, I went into North Korea nineteen times. On several of those trips I took groups with me, made up of both Americans and others from all over the world. One reason we went was to share the sport of surfing as a way to simply engage North Korean people from different levels and backgrounds. We wanted to break away from the “us” versus “them” mentality to just “us”, people, sharing the human sport of surfing. All too often the narrative of the news coverage of North Korea has focused on what separates us. Key figures in the world of international diplomacy have stated that engagement is desirable and even necessary for diplomacy. If engagement is both necessary and beneficial, then using sports to bring us closer is a good thing. The sport of surfing is a useful means of engagement that helps us get beyond what separates us and shift our focus to what we have in common. Shy at first, North Koreans are hospitable and curious about life outside. There is no question that the North Korean government is often at political odds with the international community. Be that as it may, the North Korean people are friendly towards visitors. Shy at first — in my personal experience at least — local North Koreans are hospitable and curious about life outside their country. Of course visitors are not required to believe the North Korean ideology or endorse their political system. For instance, I have completely different views. But that’s something I’ve found that local North Koreans respect. In turn, I treat them with respect for their laws and beliefs. It isn’t unreasonable to expect respect to be reciprocal. We can agree to disagree and still remain friendly towards each other. Things are getting better though. The good news is that North Korea is opening. North Koreans are not opposed to change. They simply want it at their own pace. Low-key engagement and unofficial sports diplomacy like our surfing groups have helped. North Korea is now more open than ever. My groups have shared not only surfing but skateboarding, skim boarding and snowboarding too, all sports new in the country. In all cases, sharing sports contributed to breaking down barriers and building relationships. For the experienced traveler, going to North Korea is different. On one trip in 2014, I was at Sijung Beach, a coastal resort near Wonsan on the eastern coast of North Korea. It’s one of the few spots along the coastline that is open to the public. I was with a group of twenty or so people from several different countries and we had permission to run a surf camp at Sijung, the first ever of its kind in North Korea. There were no waves on the first day, so we organized a relay race and split the participants into two teams. Two people, one from each team, would paddle on surfboards to a buoy about 30 yards from shore. Then they’d paddle back again to hand off to the next paddler. Teams were a mix of North Korean locals and foreigners. It was sheer chaos and pandemonium. It was also amazing to witness, as it was the first time ever for North Koreans and foreigners to be doing such a thing. We were drawing a crowd. Summer finds many locals on the beach in North Korea. After a while several hundred other beach-goers stood watching all this unfold. I was sitting in the shade near the shore with a North Korean official and heard him chuckling. The whole scene was out of control, not something you’d imagine happening in North Korea. I began to laugh too, and asked, “Could you have ever imagined this kind of thing happening in your country?” He said no he couldn’t have imagined it, but it was great to see. If we only see North Koreans as enemies, we can never see the situation change. This is not to say the current atmosphere on the Korean Peninsula is one of peace and friendship. But the atmosphere can only improve if we begin to see each other differently. This can happen through sports. Sports like surfing can be a method for breaking down walls and building relationships. True engagement takes place when we agree to disagree and yet maintain a friendly relationship. This kind of engagement is not appeasement. In a political sense, appeasement is the making of concessions to avoid conflict. Engagement is different. With “ping-pong diplomacy,” as used in the 1970s, both countries continued to regard the other as an enemy from a geopolitical standpoint, but used ping-pong to help expand and change each side’s view of the other. We need to engage with North Korea if we are ever to see the same kind of improvement. As long as they are open to us visiting their country, then of course we should go. Sanctions and other outside pressure cannot produce improved relationship between North Korea and the rest of the world. Governmental policies have their role, but there is work to be done that can only happen if all sides persevere with the desire to know each other better. The future of our relationship with North Korea depends on how well we grow to know each other. Though avid news readers might not see it in the daily narrative, the relationship has been improving over the past decade. It’s been doing so in measurable, incremental ways. And it’s been thanks in no small part to visitors using diplomacy tools like humanitarian aid and sports. At the end of our very first surf camp in 2014, after posing for a joyful group shot, to close the event, all the participants gathered in a circle, North Koreans and foreigners. There were about 30 of us and we all put our hands in the middle as a sign of unity and shouted “For Peace!” It was an incredible moment that I’ll never forget. We saw the potential for normal, good relations with North Korean people. 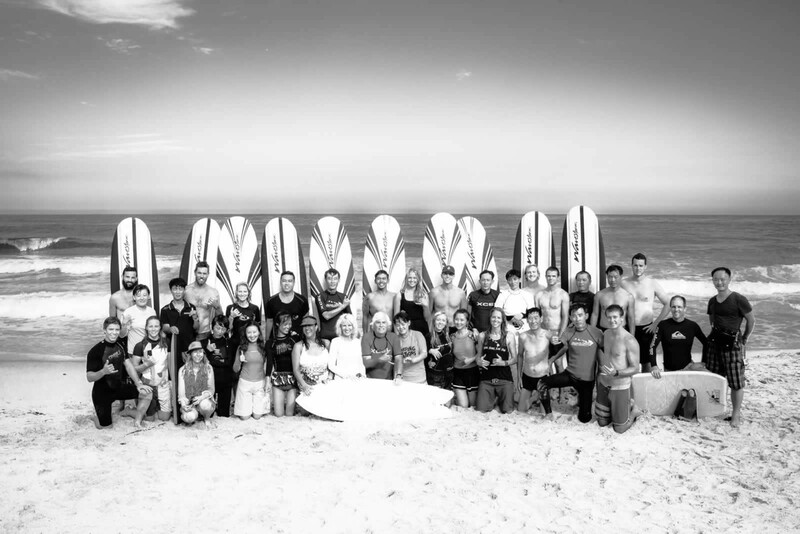 Group shot from a surf camp at Majon Beach in 2014. Relationship is at the core of all the issues surrounding North Korea and the Korean Peninsula. Improving our relationship is fundamental to progress. 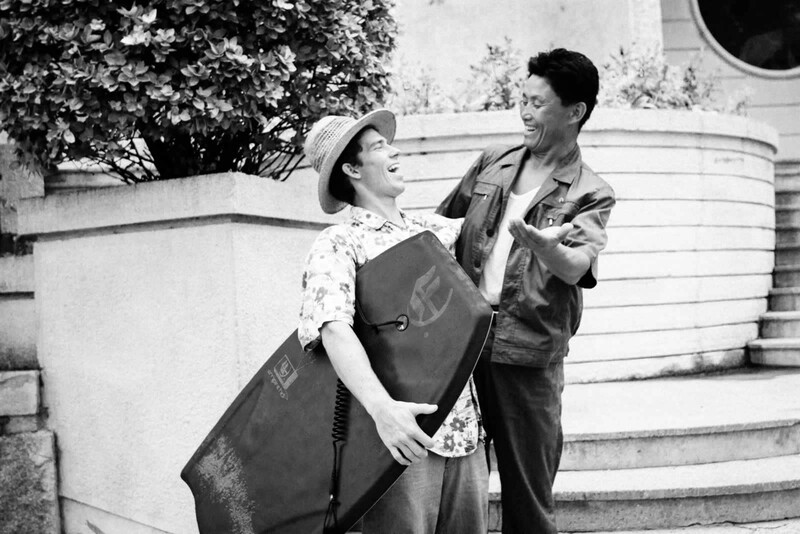 What ping-pong did for the U.S. and China, sports like surfing can do to help improve our relationship with North Korea. Not that we should ignore important issues, but friendly engagement and principled political pressure can go hand in hand. Who knows, if we put at least some of our efforts into engagement, peace might be right around the corner. 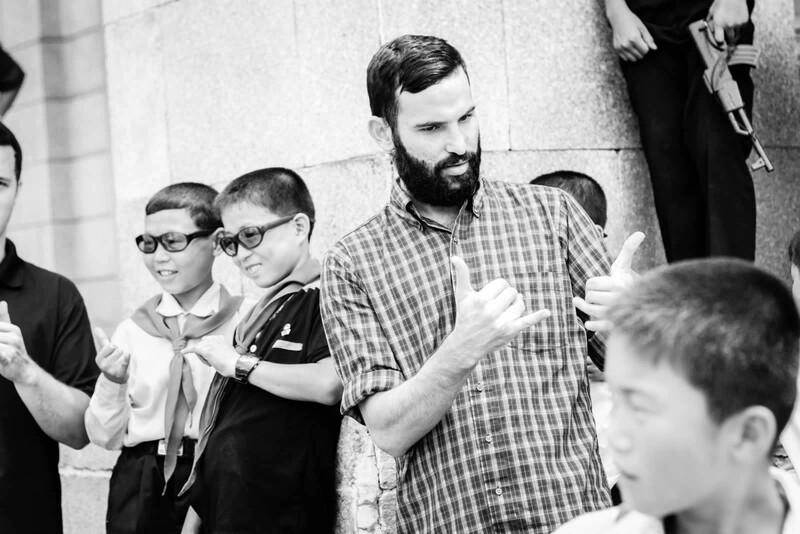 Gabe Segoine is the author of Surfing North Korea and Other Stories from Inside . Long-term humanitarian aid worker to North Korea and founder of LNKM, providing clean water wells and sports exchange initiatives in the DPRK.